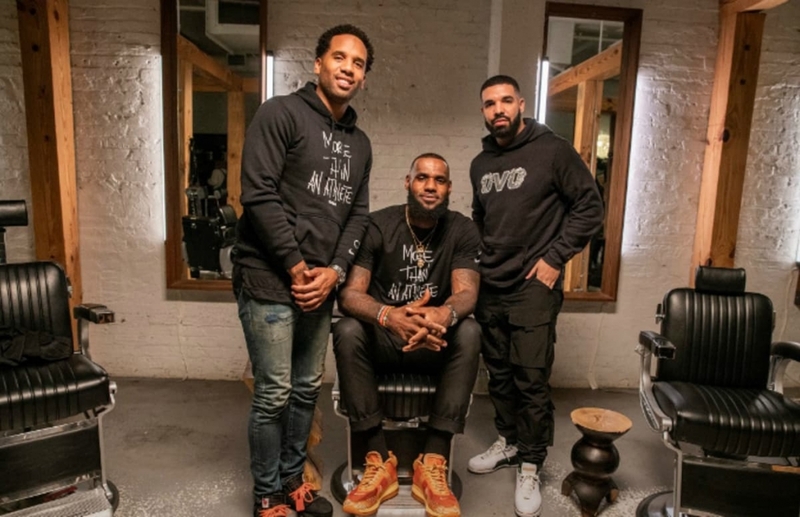 Drake was LeBron James’ guest on a new episode of #TheShopHBO, and the rapper revealed some gems that his fans were dying to know about, from his relationship with Kanye and Pusha T in the aftermath of one of the most authentic rap battles between Hip-Hop heavyweights in years to knowing when it’s time to step out of the spotlight. The interview was part of the latest episode of King James’ game-breaking HBO show where he bluntly and openly discusses relevant topics and engages in barbershop style, no-holds-barred, sports and entertainment conversation with iconic figures. Drake also discussed his son Adonis and his failed relationships with women, which he attributes to his parents' inability to stick together; topics he rarely discusses publicly. As far as the Drake-Pusha T beef that captivated the music world this summer and helped Pusha re-emerge on the rap scene and promote his new album, Drake felt like Pusha-T violated the unwritten codes of hip-hop beef. Drake says Pusha T and Yeezy were trying to not only win a rap beef, but take his soul. He got a lesson in what street grimy really means in a Hip-Hop battle. Apparently, Drake trusted Ye with some personal information and Ye fed it to Pusha to use in his attempted execution of Drake’s career and character. LeBron James seems to be the only guy that can get Drake to open up in an interview. Back in 2017, they got together for their first revealing sit down. If you haven't caught an episode of LeBron James' new HBO production, "The Shop," then you have to check it out ASAP.